Yesterday, Ripple launched a new commercial, showing that money can be transferred faster with an aircraft than with a traditional bank transfer. Ripple wants to create awareness with banks. Also, XRP coins can now be sent via text message. 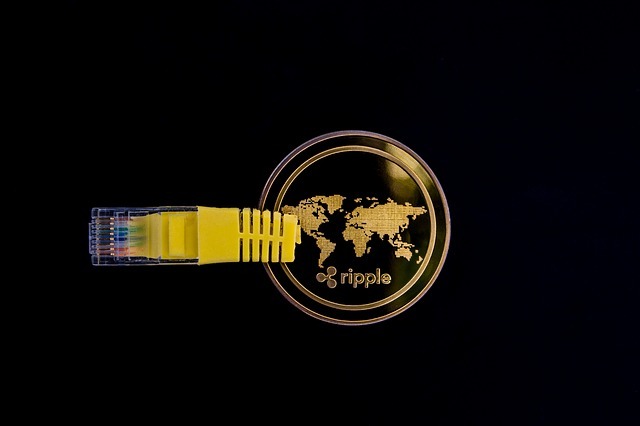 In a new commercial, Ripple targets all banks worldwide, stating that it is no longer appropriate to wait several days until a transaction arrives at the destination. The short film shows that it is quicker and easier to put money on a plane, deliver it to the destination and deliver it. This may not be cheaper, but certainly faster than making a cross-border transfer using traditional bank transfers. More and more banks worldwide are using various Ripples’ software solutions, with many projects still in the test phase. Nevertheless, the proliferation and adaptation of XRP and blockchain technology is increasing. The user just enters the phone number of the recipient. Then a destination wallet adress and the personal destination tag will be send to the user. The user can then withdraw any amount to the wallet, which will be processed immediately. The project was developed by the independent XRP developer WieseWind. At present time errors and disruptions can still occur because the platform is still in public beta. The price of XRP is moving sideways within the last 24h, experiencing a minimal dip of -0.58% to a price of $ 0.39.